Have you upgraded early to iOS 12? iOS 12 users can finally enjoy Fortnite again after Apple’s latest beta fixed random game crashes. A problem with downloading Netflix titles has also been eliminated, but a number of new bugs have been introduced with this release — including on that breaks the new Screen Time feature. Apple warns iPhone and iPad users not to install beta releases on their primary devices, but do we listen? Of course not. But we should, because beta releases always come with bugs that can break your favorite apps and features. For instance, the first three iOS 12 betas prevented users from playing Fortnite. The game loaded up as normal and allowed players to navigate its menus, but shortly after jumping into a game of Battle Royale, it crashed completely. Fortnite is now fixed in beta 4, as is an issue that prevented Netflix subscribers from downloading movies and TV shows — but other big bugs have arrived. PhoneArena reports that Screen Time, a feature that’s new in iOS 12, no longer works properly. Your activity data may not sync between your iOS devices, but you might be able to fix this problem simply by rebooting. iOS 12 beta 4 also breaks the App Store. Apps and games may fail to download the first time you try, but you should see success on your second attempt. Apple also warns that cellular signal status may not be displayed properly on the Home or lock screens of iPhone X, while CarPlay isn’t playing nicely with the new Siri Shortcuts feature. 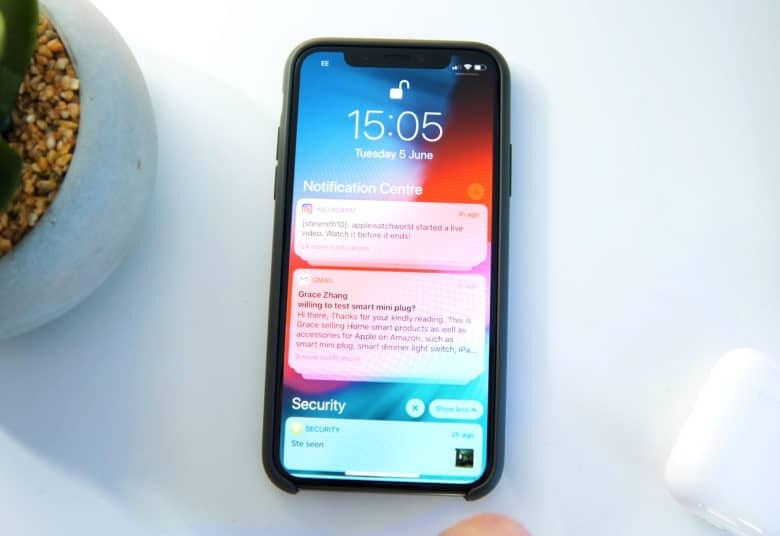 You may actually find that Siri Shortcuts won’t work with a number of devices, and could struggle to return SiriKit queries. Again, we expect bugs in beta releases, which is why you shouldn’t install them on devices you rely on every day. If you’ve already taken the leap, you will now have to live with these issues until Apple fixes them in a subsequent update. You might choose to downgrade to iOS 11, which is still possible, but know that if you do, you won’t be able to restore your device from a backup created under iOS 12. That means any data saved since you updated to iOS 12 will be lost.